When it comes to holidays overseas, one destination with constant appeal is Tenerife. Its blue skies, broad beaches, lazy days and lively nights make it one of the most beloved of all the world’s holiday islands. Even if you’ve visited a dozen times before, it’s somewhere you can enjoy time and time again. 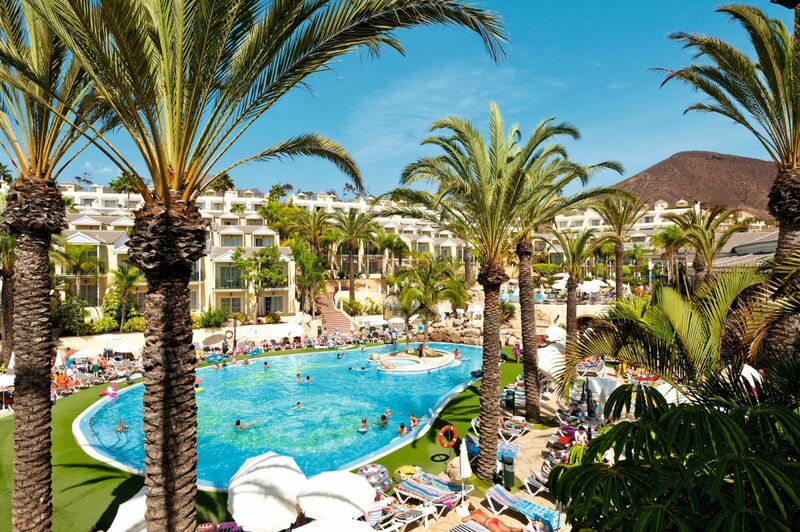 With so many All Inclusive holidays to Tenerife to choose from, it can get a little tricky when deciding which one’s best for you. To save you time, we’ve handpicked five favourites. Looking for something to keep the kids occupied so that you can sit back, relax and soak up the sunshine around the pool? 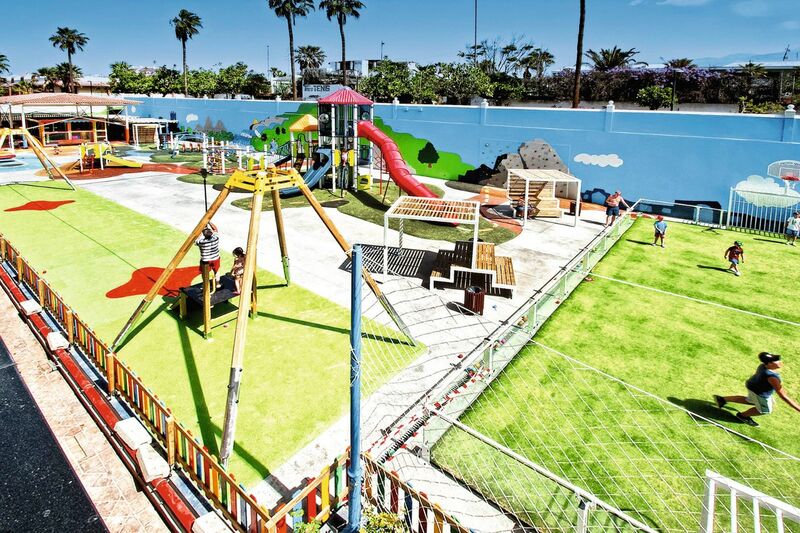 The Spring Hotel Bitacora has an endless list of activities for the little ones. From swimming pools and water slides, zip-lines and climbing walls to magicians and mini-discos, one thing’s for sure — the kids won’t be bored. Location wise, its closest sandy sweep is just a 10 minute walk away making flitting between the hotel and beach a doddle. While the bars, shops and restaurants can be found at the shopping centre just a couple of minutes walk away. 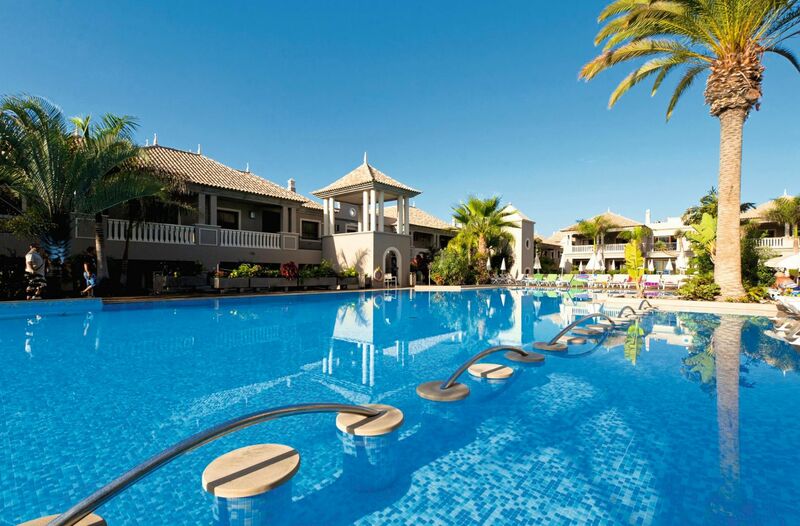 The Marylanza Suites and Spa Resort is dotted in between the two lively resorts of Los Cristianos and Playa De Las Americas, being just a 15-20 minute walk to either. Despite being sat in the middle of the action, it’s still secluded enough for you to enjoy plenty of your own space. And what a space it is, tucked next door to one of the island’s best golf courses. Two pools vie for your attention, while the building itself is a gorgeous tan-walled structure looking every inch the exotic retreat. Alongside the gourmet experience to be had at the Kentia restaurant, the Marylanza Resort offers buffet dishes from across the globe. Or there’s a teppanyaki place for oriental cuisine with a Canarian twist. At the spa, aromatherapy baths, massages and whirlpool baths are among the many ways to pamper yourself in this corner of serenity. The Gran Oasis Resort looks just like a pocket of paradise lost in the desert thanks to its round-edged pools peppered with palm trees. Luckily, you’re well connected to the island here though. There’s a courtesy bus ready to whisk you and your loved ones out for a fun-filled day. Whether you fancy the beach, Playa De Las Americas resort centre or the world class waterpark Siam Park, you’ve got easy access to all. The resort itself loves to keep you active too, from water polo to darts and pool, as well as a golf course close by. When it comes to refueling after an active day, it’s All Inclusive spread has you covered. Serving up please-everyone staples like pizza, salads, chips, along with some Mexican and Italian themed nights too. Did we mention that once a week you have the chance for a complimentary trip to Monkey Beach Club where you can indulge in even more snacks and drinks too?! You’re at the beachfront of Playa De Las Americas here, with the sandy shoreline just a short stroll away. Centered around a lagoon-like pool, H10 Conquistador Hotel is tucked away from the hubbub. It offers modern rooms and plenty to see and do – perfect for All Inclusive family holidays. Ping-pong and table tennis are among the highlights, as well as nightly entertainment rich in song and dance routines. Dining is available either snug indoors or al fresco, with the chance to sample Italian and Japanese delicacies at the water’s edge. Don’t miss the hot stone massages and Turkish baths at the spa either. 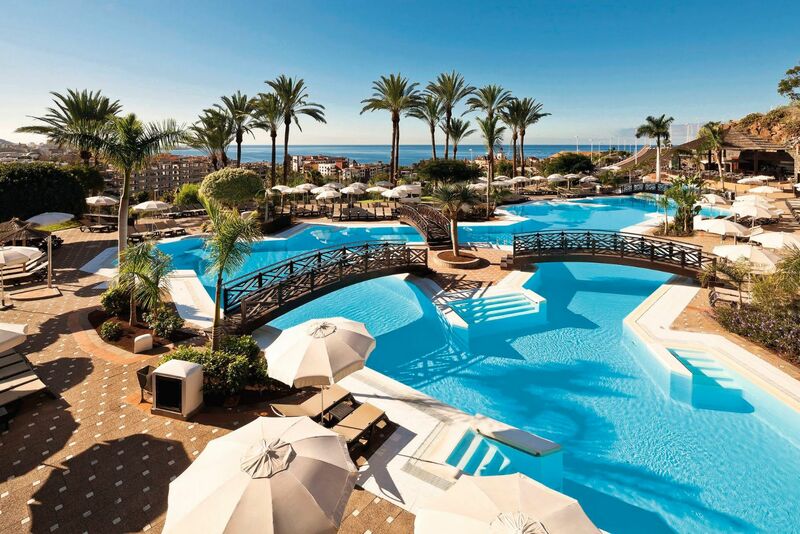 Fresh from its recent revamp, Melia Jardines Del Teide in Costa Adeje is stunning. It’s ginormous pool serves up spectacular views across the Atlantic Ocean, while a network of bridges arch over the water connecting you to different parts of the terrace. If you’re more of a beach bum than poolside lounger, the beach is just a a 15 minutes’ walk away too. As for the food, once you’ve had your fill of delicious ice-creams from the poolside snack bar, make your way to the buffet dining area where you can dine al fresco. Themed food nights here take new flavours to the fore. While the cocktail lounge hosts live music acts and offers an ideal spot for watching the sun go down. 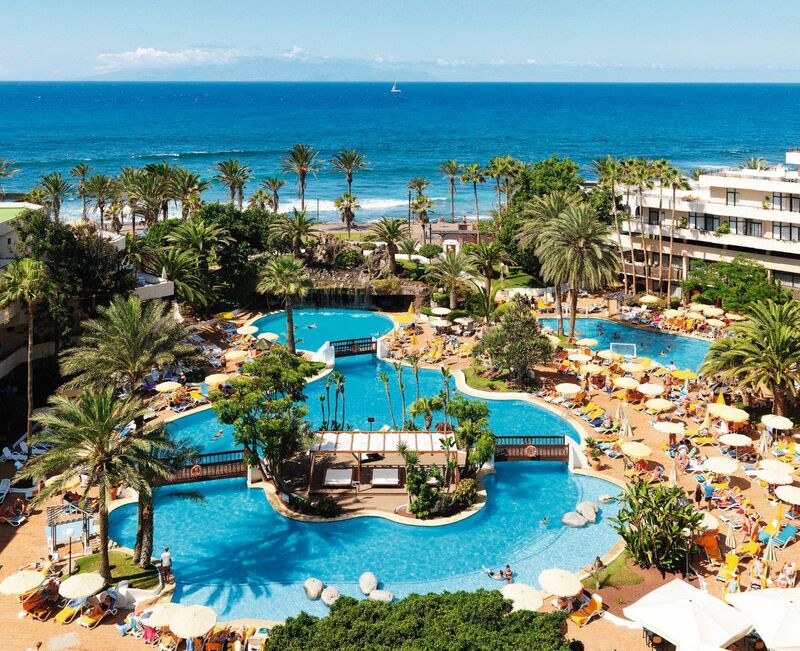 So how much will you save on an All Inclusive holiday to Tenerife?